After 24 months o' silence we are back with an entire hour's worth of POUNDERS on RadiOblivion 71! You get the Primitive Idols, Art Guy, the Bosstones, the Trouble Makers, Los Monjes, the Reasons Why, and mo' savage sounds than you can handle - as heard live on Wild And Primitive Radio. 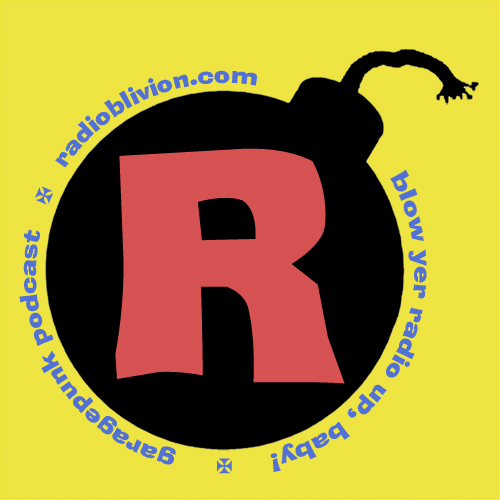 Read about the future of RadiOblivion on Michael Kaiser's per-son-al blog, and be the smartest kid in class. Get extra points fer bookmarking this page on SoundCloud to make sure you get all the latest radio shows.